The connection between 23 April and books was first made in 1923 by booksellers in Spain as a way to honour the author Miguel de Cervantes who died on that day. This became a part of the celebrations of the Saint George's Day (also 23 April) in Catalonia, where it has been traditional since the medieval era for men to give roses to their lovers and since 1925 for the woman to give a book in exchange. In 1995, UNESCO decided that the World Book and Copyright Day would be celebrated on this date because of the Catalonian festival and because the date is also the anniversary of the birth and death of William Shakespeare and the death of Miguel de Cervantes. 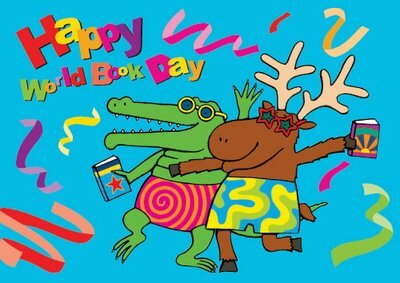 In the United Kingdom and Republic of Ireland, World Book Day is held annually on the first Thursday in March.